This male lion was spotted just before sunrise with a recent zebra kill. 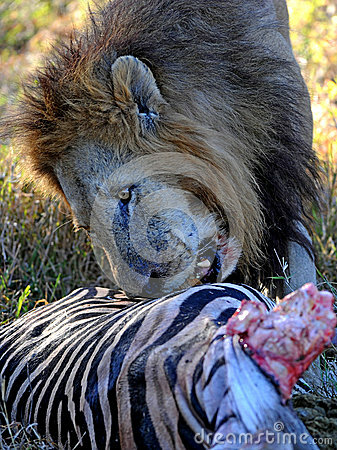 Lions are predators and they live on other wild animals such as zebra, buffalo and warthog which they hunt. He ate his fill before allowing the lioness that had assisted in the hunt, to eat.